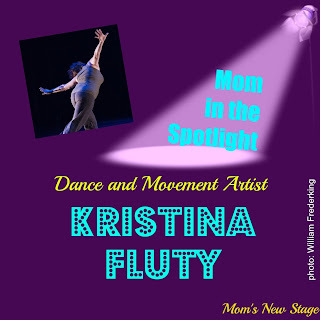 Mom's New Stage is uber lucky to be able to feature the fabulous dancing mom, Kristina Fluty. Currently, Kristina is a celebrated member of the Chicago dance community as a performer, dancemaker and teacher. She is also mom to a 2 year old little boy. Her wisdom in terms of movement and motherhood make me wish I could make myself into a sponge and attach myself to her heart center. I am tremendously inspired by her, and I know you will be too! 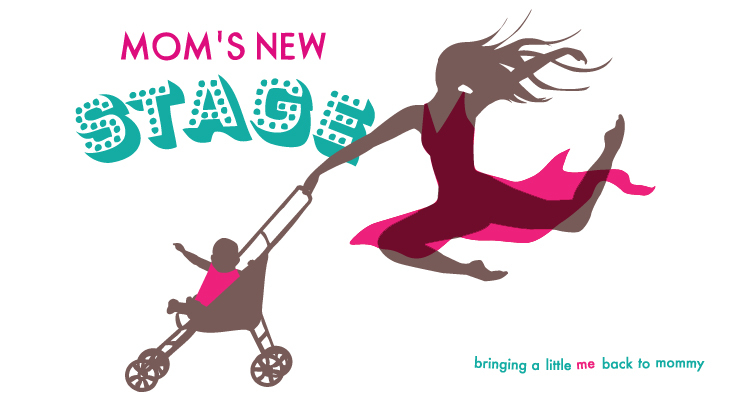 How has being a mom affected your dance life? How would you like it to? I really appreciate how the logistical slowing down from busy artist to mom-and-more-discerning artist has changed me on a cellular level. I have more patience now (or at least I am trying) and I appreciate being in the present moment more in a very practical way. This means that my notions of what it means to have a movement practice have changed. I value my studio time so much more now. Also, my body is so different! I was always working with the fundamental idea that we must dance with the bodies we have RIGHT NOW. That has taken on a whole new meaning since my actual dancing time is so precious and I have to embrace my new physicality. I feel like I bring this renewed awareness and approach to my performing and teaching. 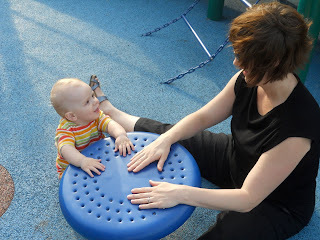 I would love to be able to incorporate my son into my dance practice more (have you seen that video of the toddler at a big contact jam in Europe somewhere?). I love dancing with Gus - we roll all around our living room and any studio when we get a chance, and he is starting to sing and exhibit really refined dynamic qualities (it's a little scary!). It’s so lovely to see his pure joy in his movement, and a good reminder for me to relish in the beauty of being able to dance, period. I am not a big fan of most dance reality TV shows, but I know many dancers who are. Where do you stand on these? I really have to admit that I am gravely dismayed by the little bit I have seen (we don’t have cable) and I hate these shows. I recognize that the people on them are usually very talented, and I do appreciate that this industry has raised awareness of dance in general. However, I disagree with the paradigm and aesthetic that they promote. You are comfortable in many dance forms. Is there one in particular where you feel most at home? Oh, definitely contemporary/modern, and a very specific aesthetic at that. 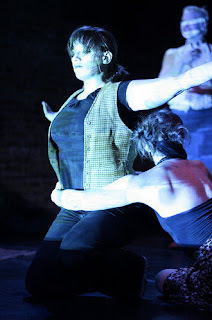 I have been dancing with Molly Shanahan for ten years now, so that is where I feel most at home other than my own work. Actually, maybe I feel MORE comfortable in her work than in my own...a whole other conversation. I have found a really yummy "home" style that blends my Laban/Bartenieff training with my years of work with Molly and many other endeavors. I’m an advocate for dancers really digging in to discover/uncover their own movement style. Advice for mothers in the arts? Name a choreographer or company would you love to dance for? Or even a Broadway show you'd love to be in? Miguel Gutierrez, David Dorfman, Wil Swanson, Tiffany Mills, Crystal Pite, Azsure Barton, Batsheva, Forsythe, The Seldoms, Khecari. And last but not least - anything Fosse. 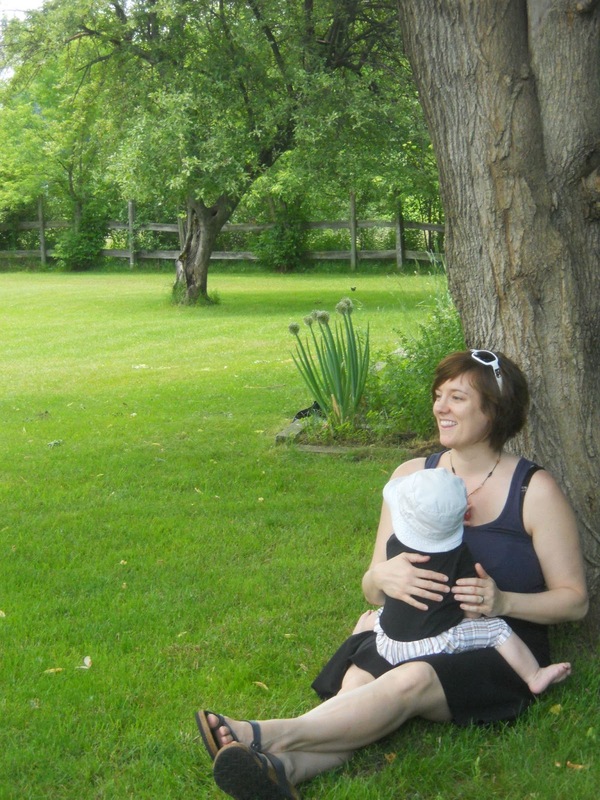 The moment as a mom you're sure was payback for something horrible you'd done in this life or another? 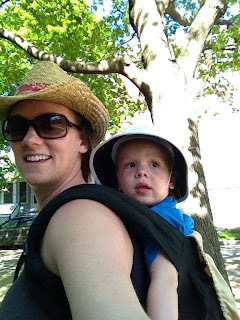 When Gus had just turned a year old, we had a minor bicycle accident with him in the new seat I had just bought. Aside from having my first real experience with gut-wrenching fear, I felt like the worst mother in the world. His eye swelled up, the bruising was terrible, and I just kept thinking, “I did this to him. I made this happen to my precious little boy. How could I be so stupid, so irresponsible, so careless?” It definitely felt like a punishment. And it didn’t stop there. A couple of months later, we noticed that two of his teeth were chipped, and we wondered if it had happened/started in the bike accident. Another month passed, and we noticed that those spots were decaying. So that has been something else we have had to deal with that definitely felt like karma. We kept asking, “What did we do to deserve this? ?” as you often will in these situations where you don’t really have control. And when do you ever have control, anyway? We certainly went to the emergency room when we wrecked, and we have had his teeth fixed, but that doesn’t make the worry and self-doubt go away. The best thing about dealing with other parents? The worst? I love how parents can come together and talk about anything child-related, strangers and friends alike. Our children unite us in that way. But there are a million ways to skin the parenting cat, so that can also lead to disagreements and mud-slinging. I have found that most of my friends and colleagues who are also parents are genuinely respectful of each other and our practices, and the only place I experience the rudeness is on internet forums. I try to just focus on my family and take heart that we are doing what is best for us. I'm 36 in September! It's funny to see this question because I was just reading through some old journals last night in the throes of insomnia. My 24 year old self would probably tell me to look around and appreciate that I am just where I want to be, and where I thought I might be when I was her age. How crazy is that? I always was a planner. But she would also punch me in the arm and say, hey lady - enjoy this! She would probably wrinkle her nose with disdain and judgment at the homebody I can be these days. She might tell me I could let loose a little more and not worry so much about everything - money, other people's opinions, where my kid is going to go to school. On another note, she would be really proud of me, because she would see that I was able to disentangle myself from a really dysfunctional romantic relationship I was in at that time. She would be impressed that I made some hard decisions about my career and looked really deeply inside of myself to determine exactly what I wanted as an artist. She would be grateful that I was not afraid to drop my preconceived notions to pursue those things. 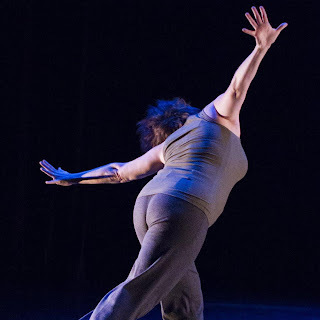 Kristina Fluty is celebrating her tenth year as a movement collaborator with Molly Shanahan/Mad Shak, and has worked with many other choreographers in Chicago, Nashville, and New York. She holds an MA in Dance/Movement Therapy and Counseling and a Laban/Bartenieff certification from Columbia College Chicago, where she is also an adjunct faculty member. Other faculty positions include The Theatre School of DePaul University and The University of Chicago. She teaches dance regularly throughout the city, including at Lou Conte Dance Studio/Hubbard Street Dance Chicago and Thodos Dance Chicago. Kristina currently works with individual professional artists and dance companies in Chicago in the facilitation, support, and research of personal creative process. In addition to the framework of Laban/Bartenieff studies, her influences include the Feldenkrais Method, Body-Mind Centering, Authentic Movement, Continuum, and Contact Improvisation. You can find Kristina's classes regularly at Lou Conte on Wednesdays at 3:30 (Adv/Pro Modern) and at Berger Park on Tuesdays at 6:30 (Beg Modern and Int Phrasework). She will be facilitating Fieldwork, a feedback forum for works in progress, at Outer Space on Saturdays in the fall, and other workshop series ideas are in the works. Keep an eye out for Kristina's new project with dance artists Rebecca Salzer and Liz Burritt, premiering in Chicago in Spring of 2014.